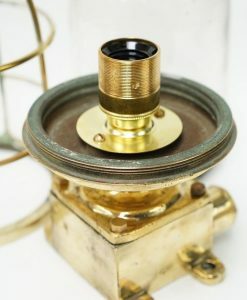 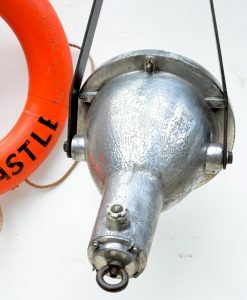 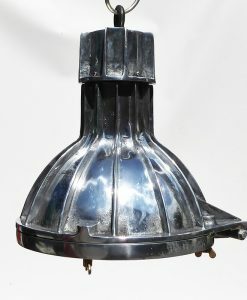 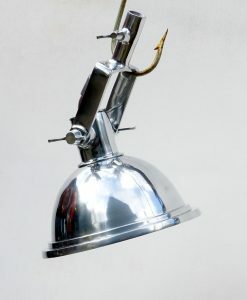 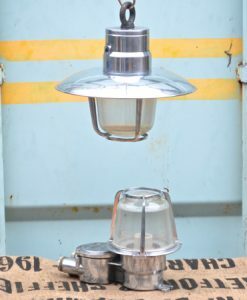 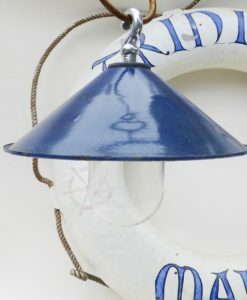 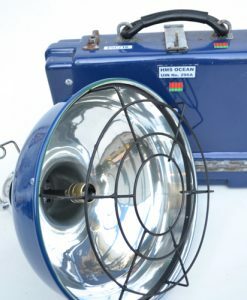 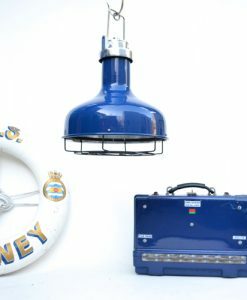 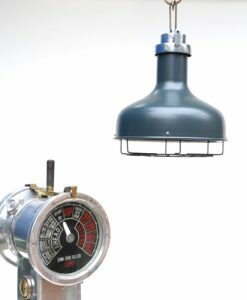 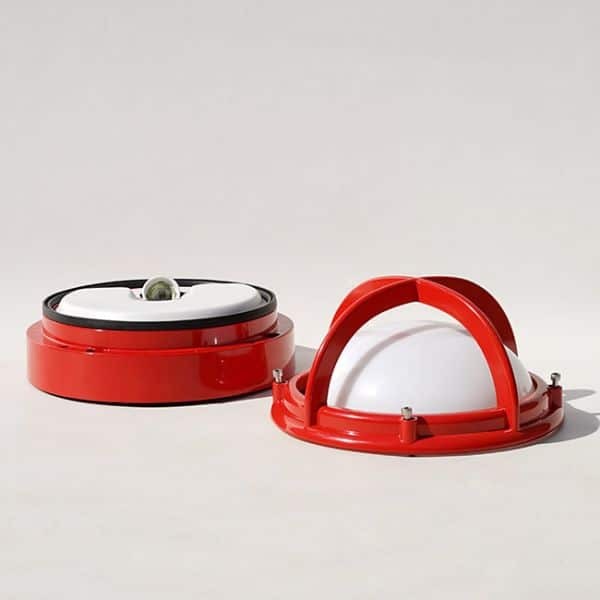 Round aluminium bulkhead light salvaged from cargo ships stores, that were never used on board. 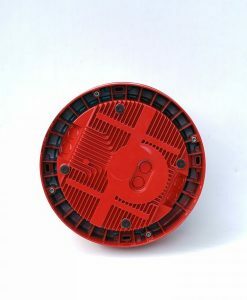 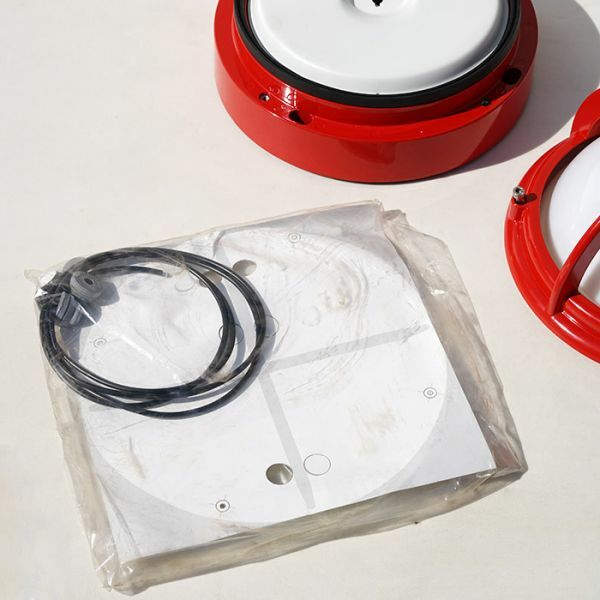 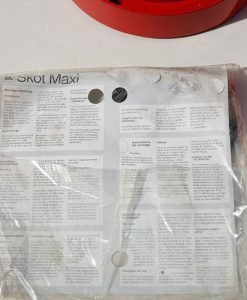 Comes with original fitting instructions, choice on the back plate of where you want the wires to come out, can be hard wired straight into the wall/ ceiling, or used with surface trunking. 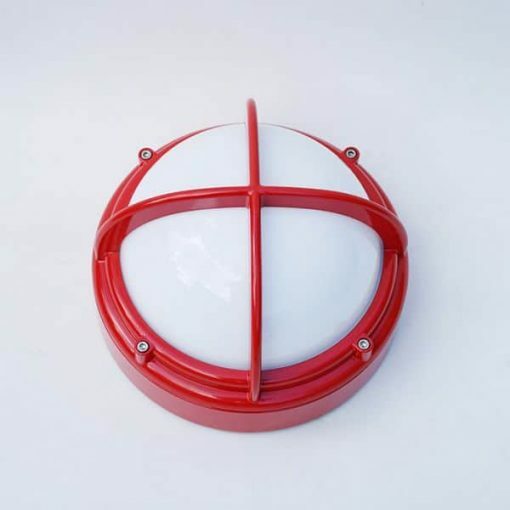 Coated Red these are striking wall or ceiling lights. 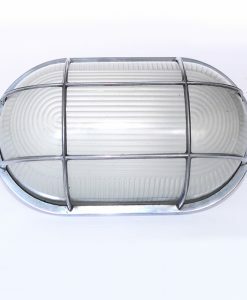 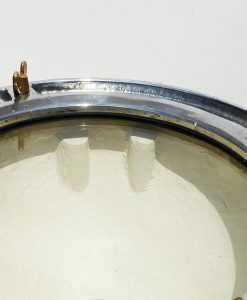 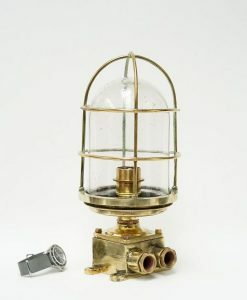 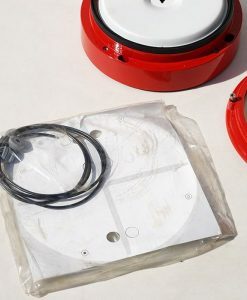 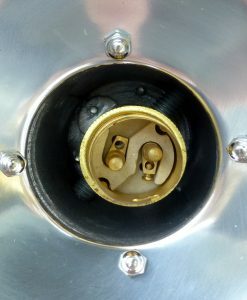 With a protective cage over the milky toughened plexiglass dome, these marine quality fittings are ready for wiring. 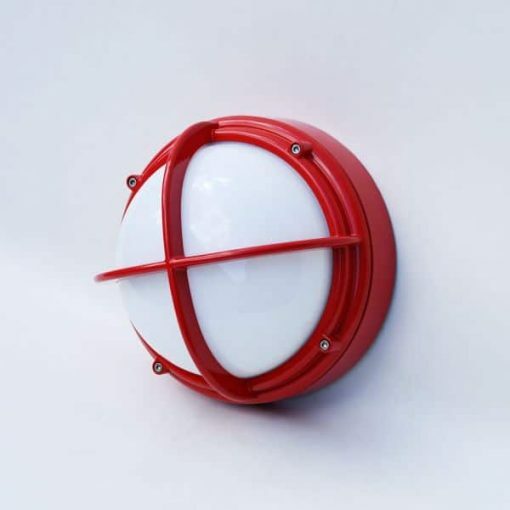 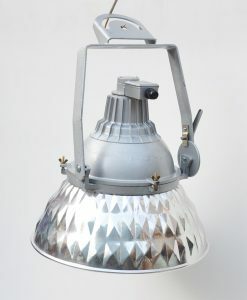 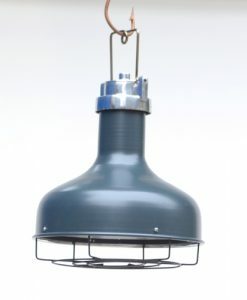 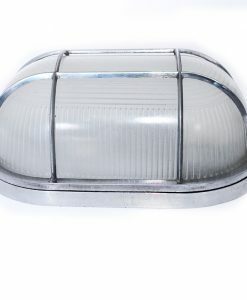 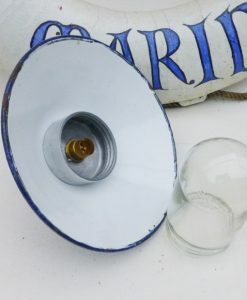 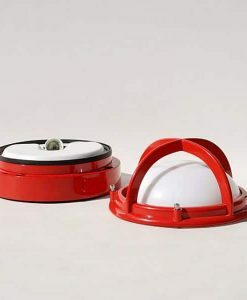 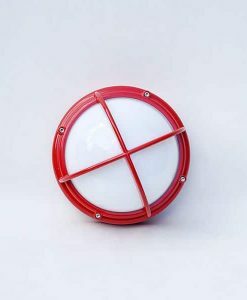 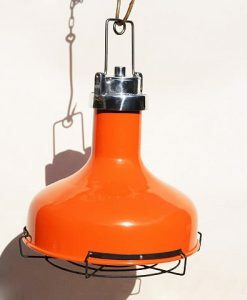 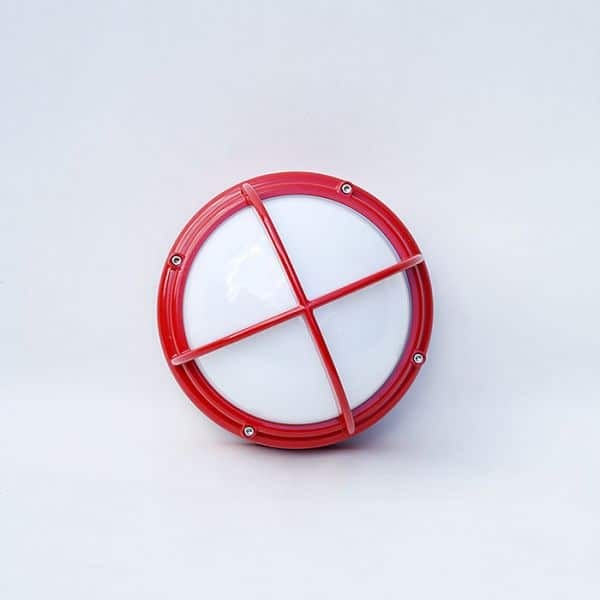 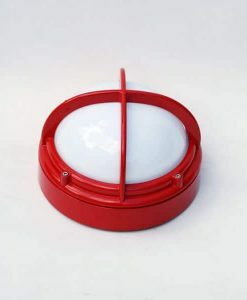 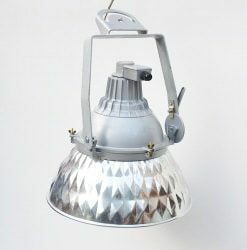 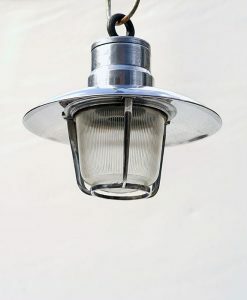 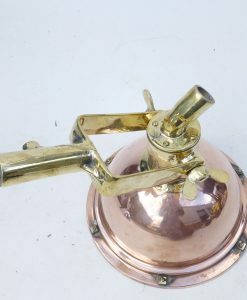 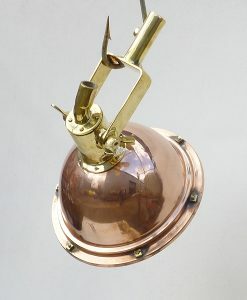 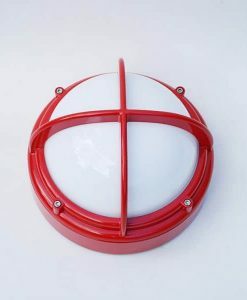 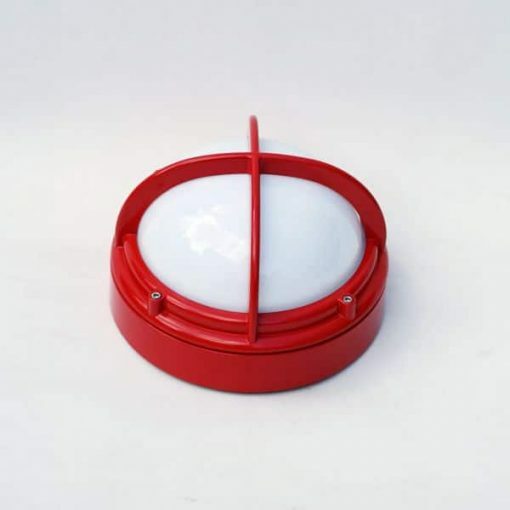 Suitable for outside or interior use and larger than the average bulkhead light. 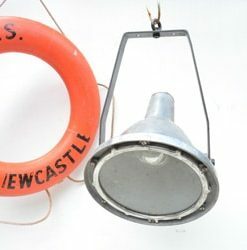 Round aluminium bulkhead light salvaged from cargo ships stores, that were never used on board. 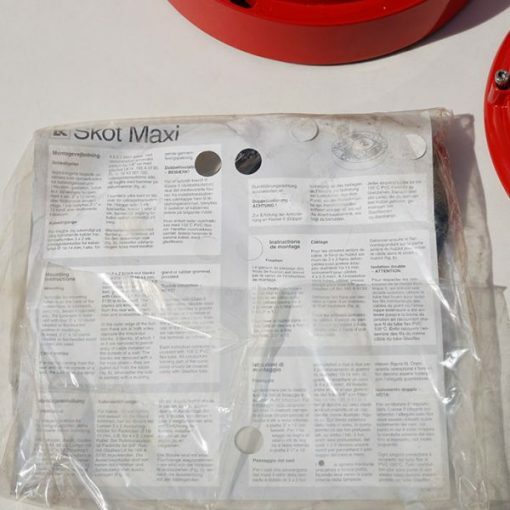 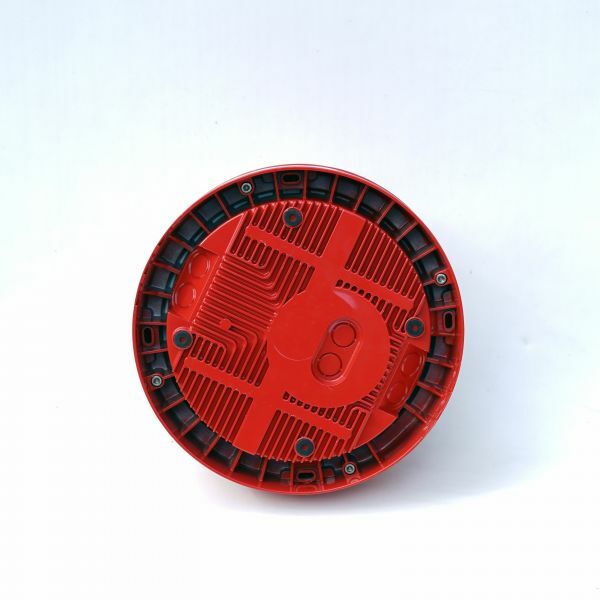 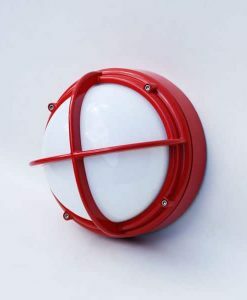 Comes with original fitting instructions, choice on the back plate of where you want the wires to come out, can be hard wired straight into the wall / ceiling, or used with surface trunking.